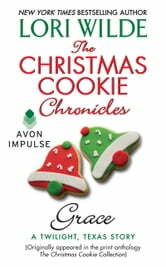 Originally appeared in the print anthology The Christmas Cookie Collection. New York Times bestselling author Lori Wilde returns to Twilight, Texas, for another delightful holiday love story. It's Christmas Eve, and Flynn and Jesse Calloway are thrilled to be expecting a new baby. Jesse believes he's put his dark history behind him … until his past resurfaces, pulling him from Flynn's side, leaving her alone and vulnerable. Then Flynn's car hits a patch of ice, and Jesse must move earth—and heaven—to save her and their unborn child.